Welcome to Starlite Rags Retired Breeder's Page. 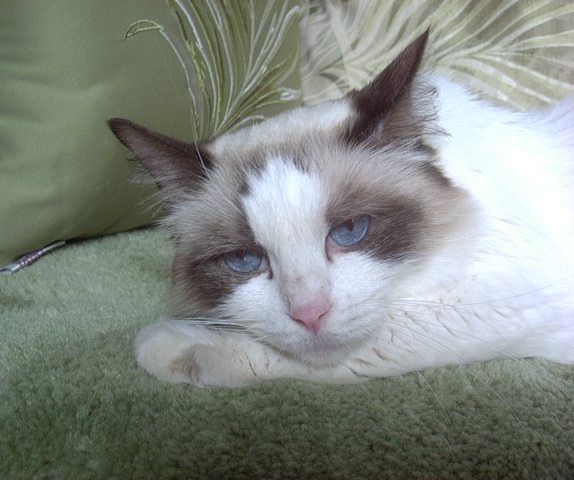 Occasionally we have available for adoption retired breeder Ragdolls. These cats make excellent pets are reasonably priced. They are available for adoption to approved homes. My requirements for adult adoption are as follows. 1. No declawing. These cats are trained to use the scratching post. 2. They must be kept indoors only. 3. No shipping adults. You must pick-up at my home. 4. No other pets. These cats need and deserve special one on one attention, and will adjust to a new home much faster if they don't have to deal with jealous family pets. 5. You must return the cat to me if things don't work out. 6. No infants or toddlers. I may approve a home with gentle older children, if I feel that it will be appropriate for one of my cats. Tootsie was born on 03/24/02. She is a very sweet girl with a calm and loving personality. She gets along well with other cats. She would be fine with older children, but I would love to place her in a quiet home with a retired person or an empty nester. Adoption fee is to cover the cost of spay. 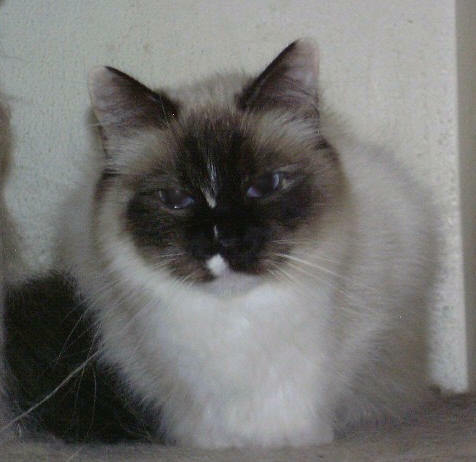 Glitter is a seal mitted tortie. She is a shy girl who would do best in a quiet home, and it would take some time for her to settle in.